I’ve always had an affinity for the Appalachian region of North Carolina even though I’ve never been there. Besides having some of the most beautiful scenery I have ever seen photographed it is also home to one of my oldest friends who has stuck with in spite of me being a complete and total jackass when I was younger (In all fairness I’m still a jackass I’ve just learned to keep it under wraps better). Now I have another reason to like the region, it is the home of my favorite holster maker, James Nelson of Nelson Holsters. Before we get into the holsters allow me to tell you how I arrived at where I have for concealed carry gear. Being concerned about accidental exposure and its repercussions I’ve always felt inside the waistband carry (IWB) was the best option for me. The problem was finding a comfortable holster. It didn’t matter whose holster I tried or what it was made of at the end of the day I’d be rubbed raw in at least one spot. Unable to find a solution I soldiered on with the words of Clint Smith in my mind “Your carry gun should be comforting, not comfortable.” Then one day while putting a can of soda into a drink koozie I got the idea of backing a holster with a thin layer of neoprene. The problem was where to get the neoprene and how to attach it? I spent over a year looking but couldn’t find a source of neoprene that didn’t want to sell me a huge roll of the stuff and I still had no idea how to attach it. Ironically the solution came from Thunder Ranch owned by the previously mentioned Clint Smith when they endorsed Nelson Holsters on their Facebook page. I followed that link and lo and behold there were IWB holsters with neoprene backing! I darn near set my credit card on fire getting it out to order a holster. 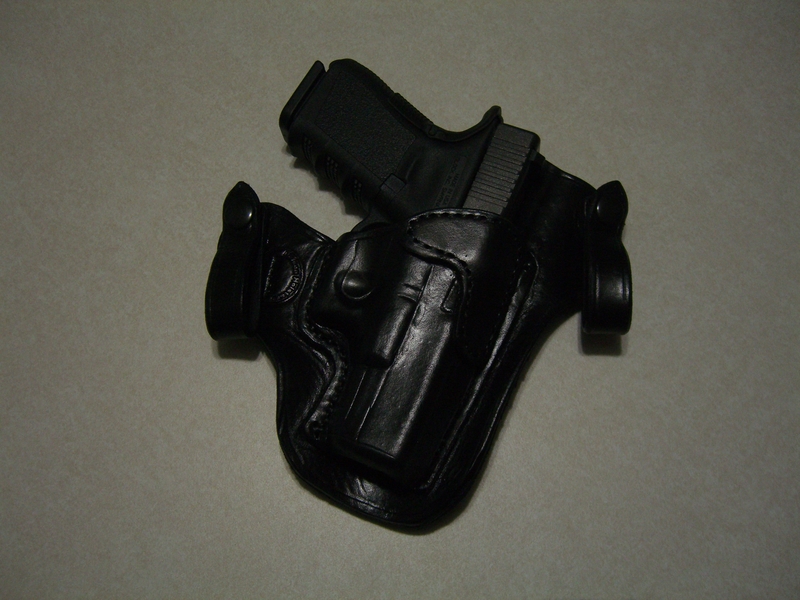 The first holster I ordered was the Phoenix model for the Glock 19 (pictured). 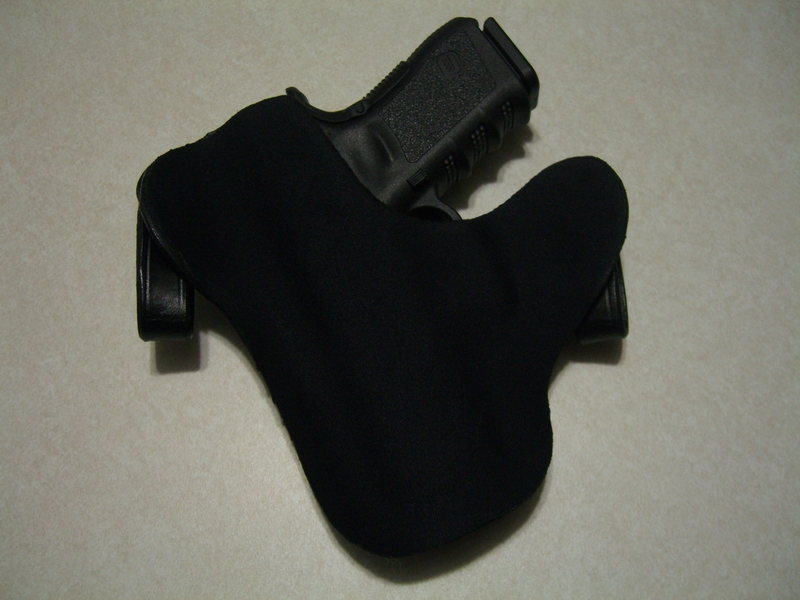 Ordering was easy and the holster arrived well before the stimated wait time was up. Additionally, James kept me apprised of the progress of my order along the way. A far cry from the service from other holster makers I had dealt with in the past where you order, pay and wait in silence for months to receive your holster. The quality on this holster is first rate. I have had the pleasure of handling and using holsters made by both John Bianchi of Bianchi gunleather fame and Milt Sparks and this holster matched and even exceeded those for quality. Wearing the holster was nothing short of a pleasant experience. At the end of the day I had almost forgotten I was wearing a fully loaded Glock 19, it was that comfortable. I also did not have to worry about the gun coming out as the holster did a very good job of retaining it. The reinforced mouth aided with re-holstering, but I did have to take my time to be sure I get it right. With a striker fired pistol that is a good thing in my opinion as I know people who have holstered in a hurry and received a divot in their posterior for their troubles. Around Christmas time I recieved a Kahr CM9, this diminutive pistol is a great way to carry a full powered cartridge in what cognoscenti refer to as semi-permissive environments. Places where you can have a gun, but actually having one might be frowned upon. Based on my previous experience I went to Nelson Holsters and ordered a Dakota Defender. 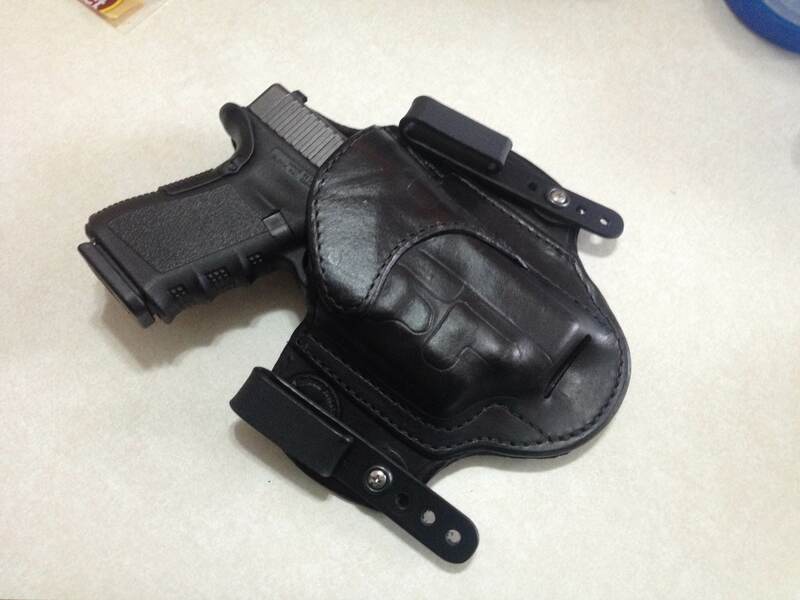 Once again I received the same great service and had my holster very quickly. My most recent interaction with James Nelson began when he announced he was offering the Viridian ECR feature for their C5L laser/light combo. Needless to say my wallet suffered a severe sprain in the process of ordering a custom Dakota Defender for the Glock 19 with a Viridian C5L. The price was reasonable and the service great as always. I haven’t had the time to fully test this holster yet, but so far the ECR has functoned 100% for me. Even if the holster came without the ECR I would have ordered one as the light/laser is easy to activate if you need it. If you haven’t figured it out yet, I have become a big fan of Nelson Holsters. 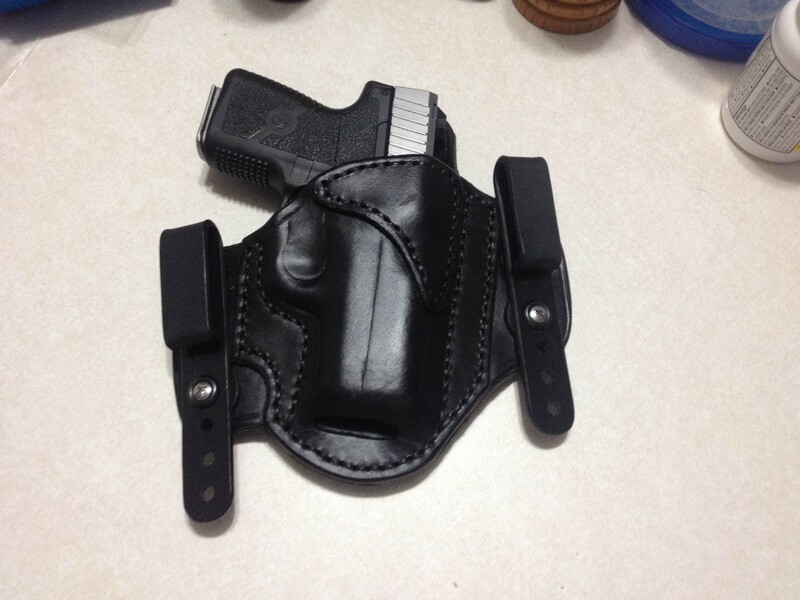 The neoprene backing drew me in initially, but the quality and customer service convinced me to return and I will be ordering more holsters as funds allow. So if you’re looking for a better holster (or even if you aren’t) give his website a look and maybe consider an upgrade to your carry gear. In my opinion it will be money well spent as I feel that Nelson Holsters will some day (hopefully very soon) be spoken of next to names like Milt Sparks and Johnny Bianchi. Yes, I think they are that good. Obligatory FTC Disclaimer: All products mentioned in this post were purchased by me with my own funds. I have not received nor do I expect any consideration for posting my opinions on these products.